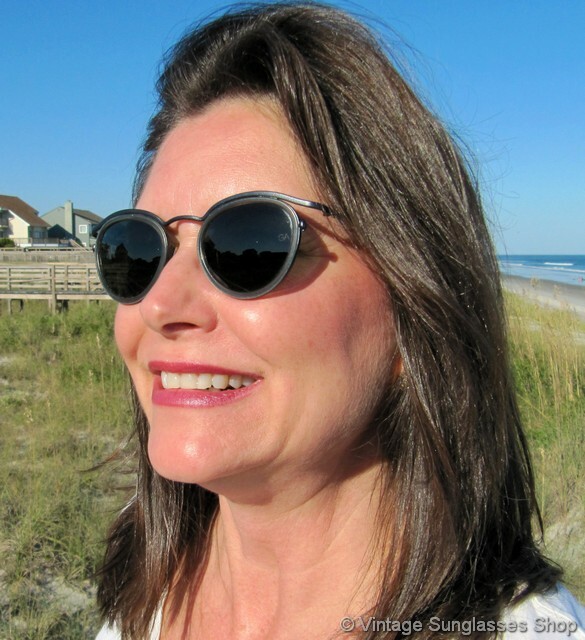 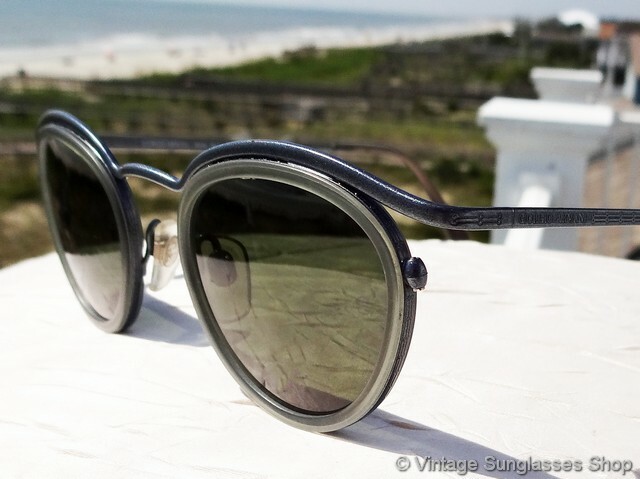 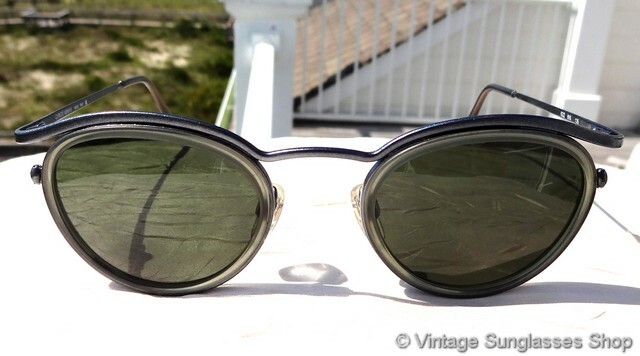 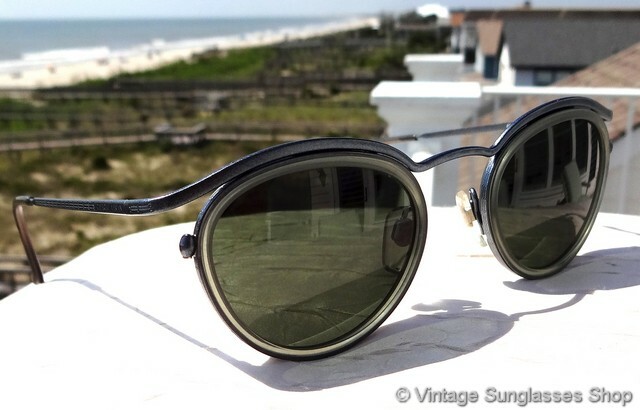 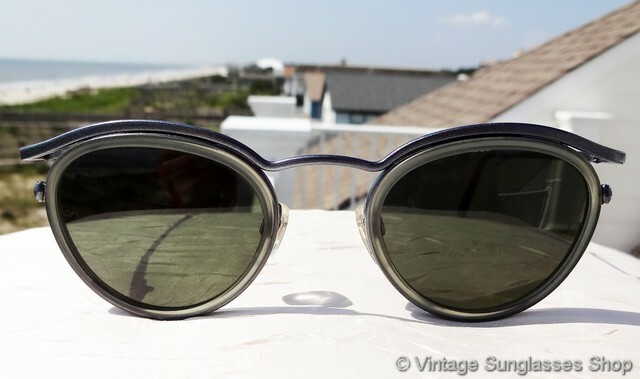 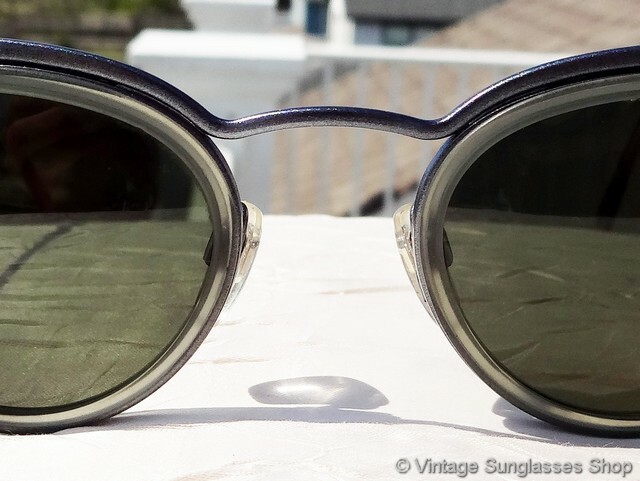 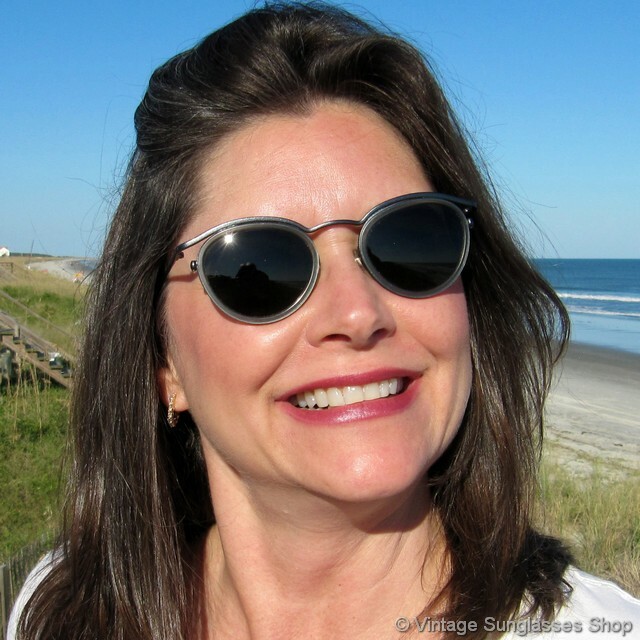 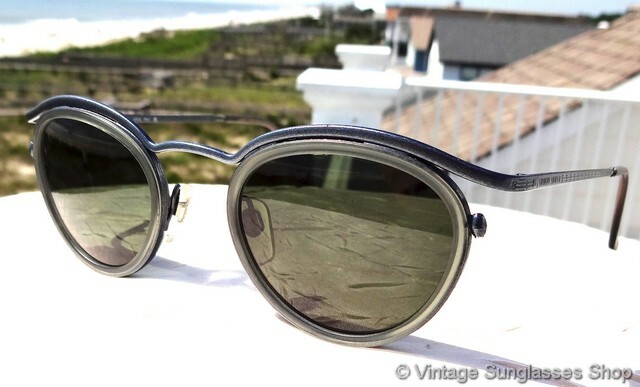 Vintage Giorgio Armani 632 895 sunglasses with extended temples are one of the 2 or 3 most distinctive sunglasses ever produced by Giorgio Armani. 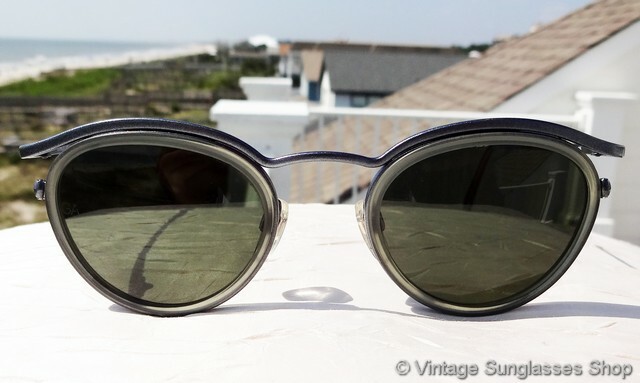 We love the exposed extended temples with the rounded lenses hiding beneath whose frame really contrasts rather dramatically with the exposed metal above. 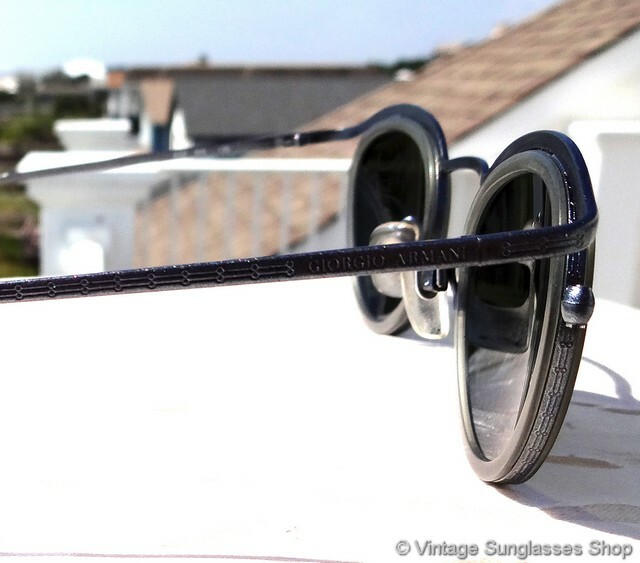 Note the intricate and precise etching on both gunmetal ear stems and the integrated Giorgio Armani logo, all easy indicators of high quality Italian design and manufacturing. 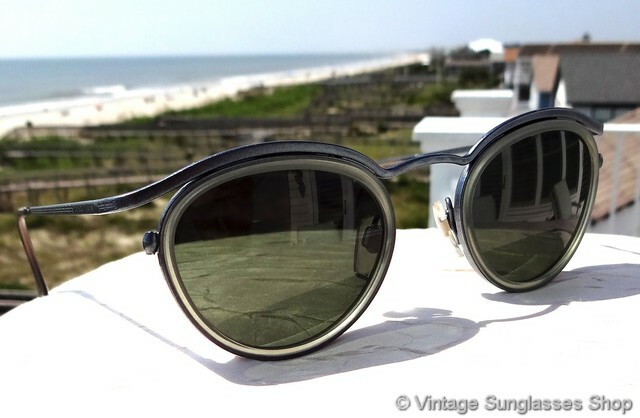 The frame measures approximately 5.25" temple to temple, and each lens measures approximately 1.75" x 1.375" at the widest points with both laser etched GA near the hinges. 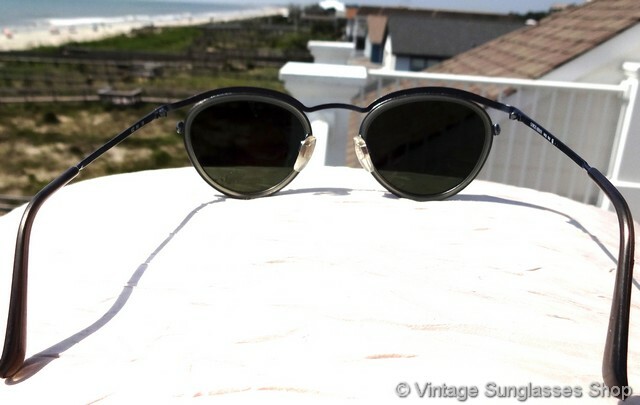 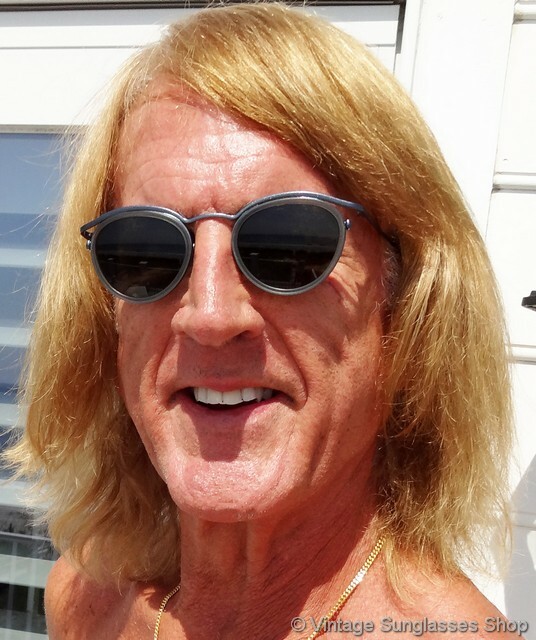 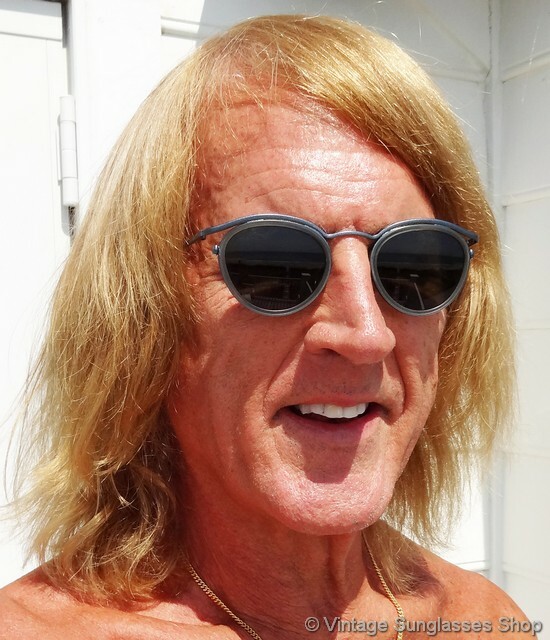 The inside of one stem is marked Giorgio Armani Made Italy CE while the inside of the other stem is marked 632 895 135, direct to you from a Lincoln, Nebraska estate collection of finer vintage Italian sunglasses.